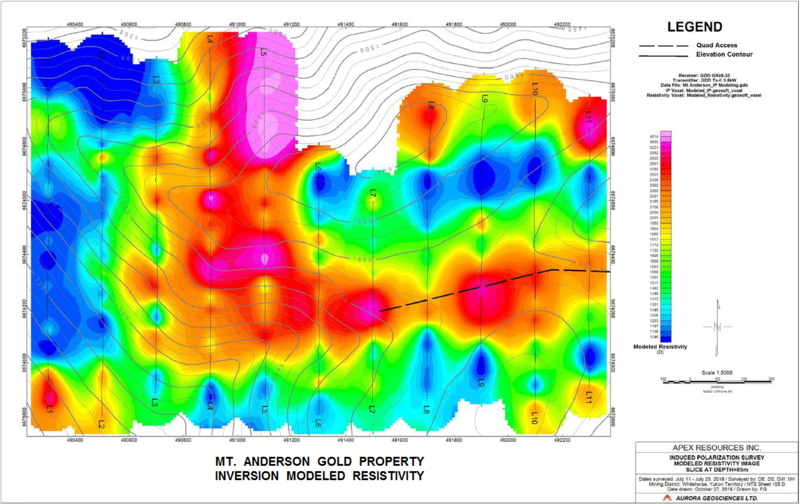 January 14, 2019 / TheNewswire / Vancouver, BC - Apex Resources Inc. ("Apex" or the "Company) (TSXV: APX) is pleased to announce that it has received a final report from Aurora Geoscience Ltd. of Yellowknife, NWT ("Aurora") for its polymetallic Mt. 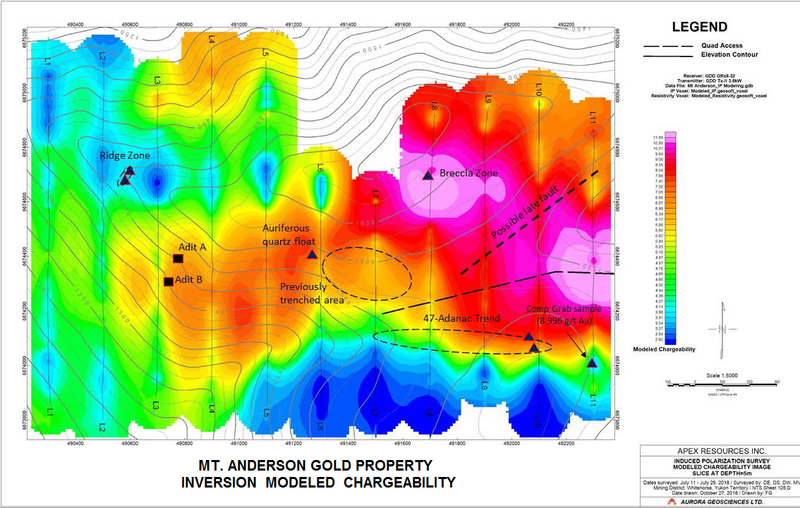 Anderson Gold-Silver property. The report recommends a two-phase exploration program, for three important target areas, that includes 1,200 metres of diamond drilling in 9 holes. Estimated cost of the program is $579,200.